This 2-Ply Toilet Tissue is great for use in Adult or Child Daycare, Preschool, Montessori & K-12 Schools, Hospitals, Group Homes, Child Care Centers, Assisted Living, & Home Use. Great Quality & Economical! 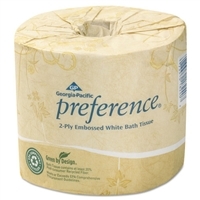 Two-ply bath tissue with iris embossing delivers softness, quick absorbency, durability and thickness. Safe for all standard sewer and septic systems. Includes 80 rolls of toilet tissue. Strong and absorbent. SCOTT® Brand is the reliable and practical choice. 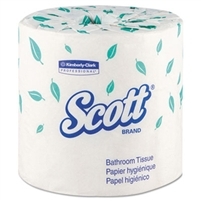 SCOTT® 2-ply Standard Roll Bathroom Tissue is the ideal balance of strength, absorbency and economy. This tissue meets EPA standards with a minimum of 20% post consumer waste.